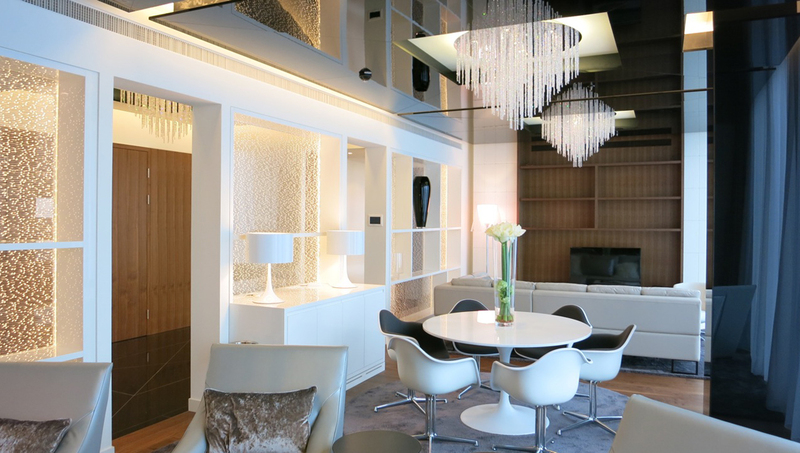 London-based United Designers created an extraordinary Presidential Suite for Melia Hotels’ new Vienna location. 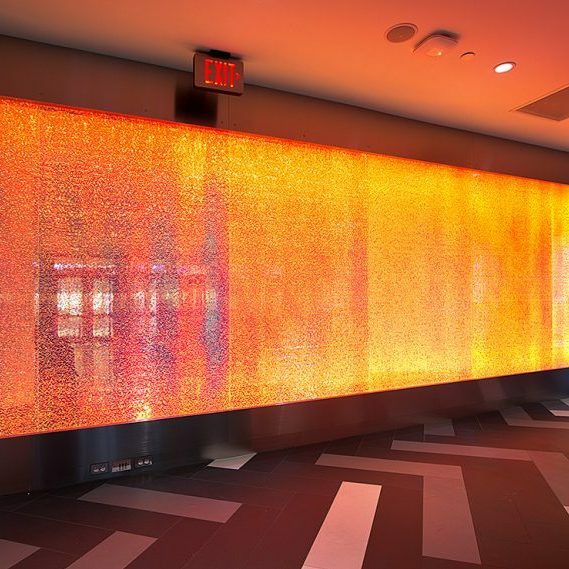 They selected Lumina™ panels to create a shimmering wall of light that acts as a room divider, privacy screen, and light fixture. 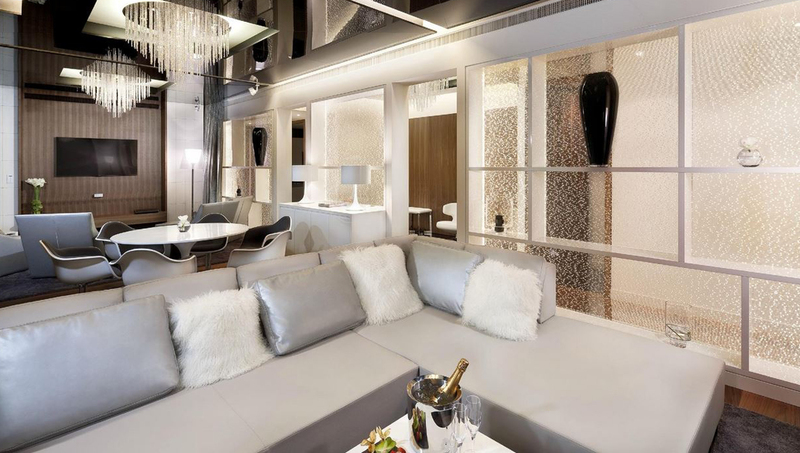 This wall becomes the central feature of the expansive lobby and entrance space of the Presidential Suite, and further defines the space by reflecting on the reflective ceiling. 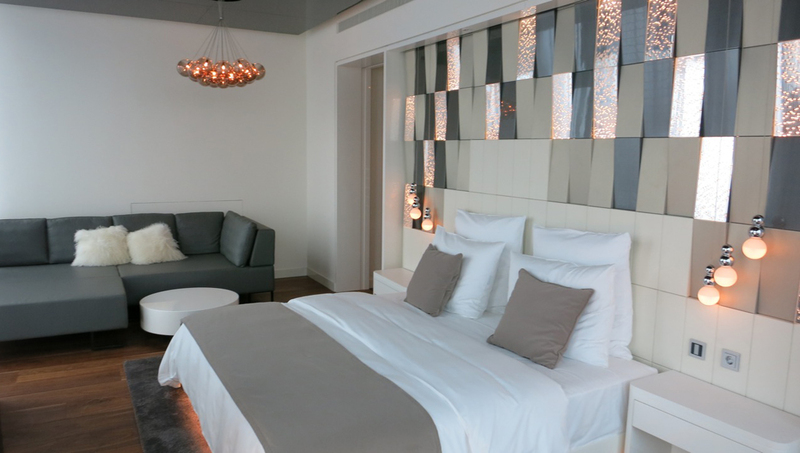 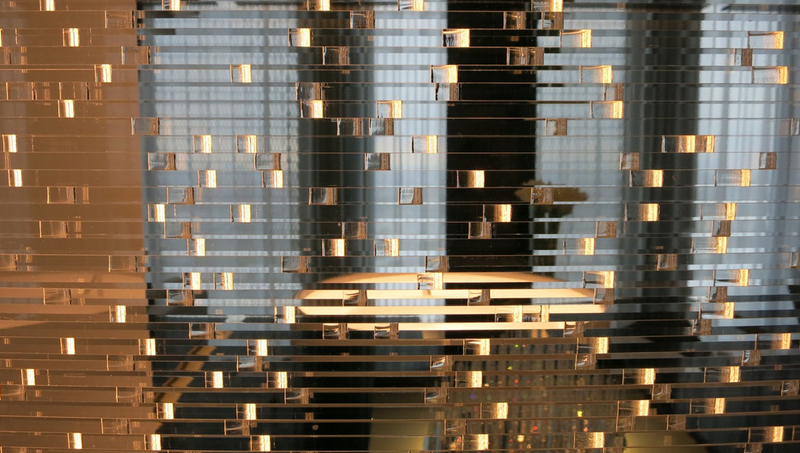 Smaller mirror-backed (opaque) Lumina panels carry over into the bedroom headboard. 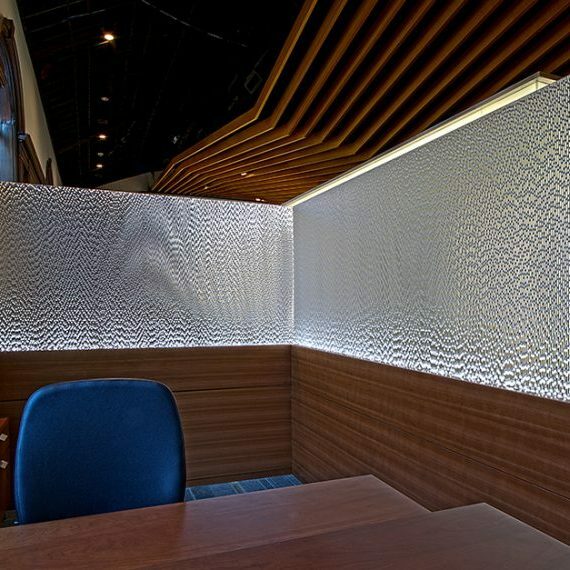 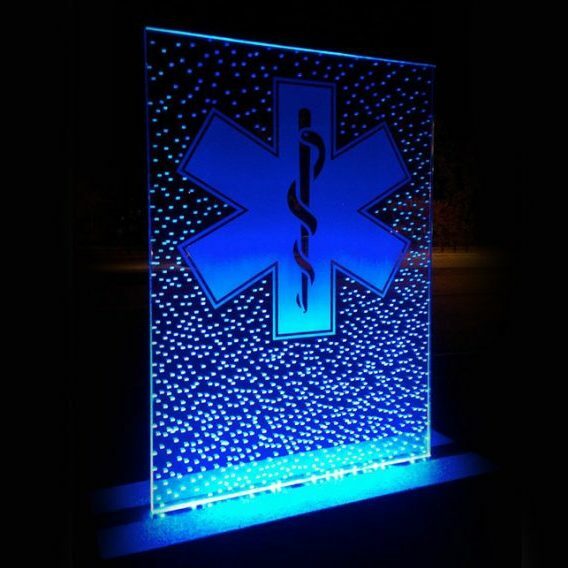 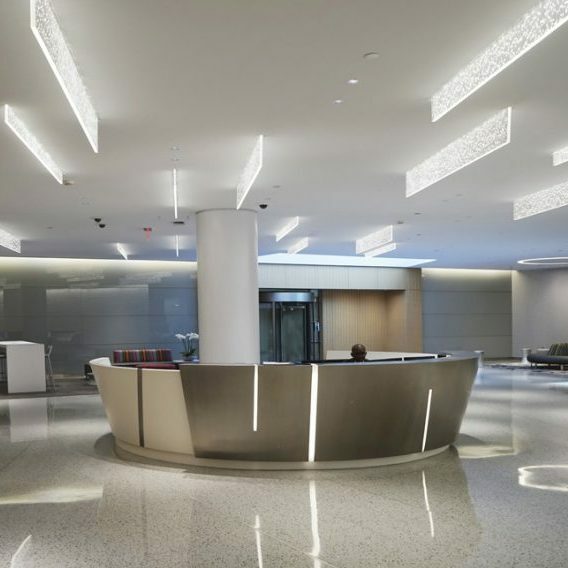 The panels have a horizontal grain and are edge illuminated with warm white LED lights.